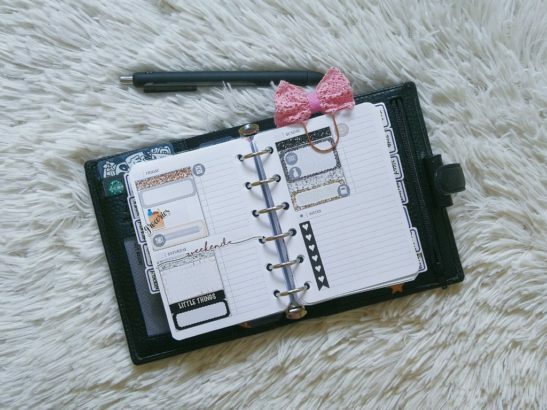 For about three years now, I’ve been sharing photos of my planner set up on Instagram and on my YouTube channel. 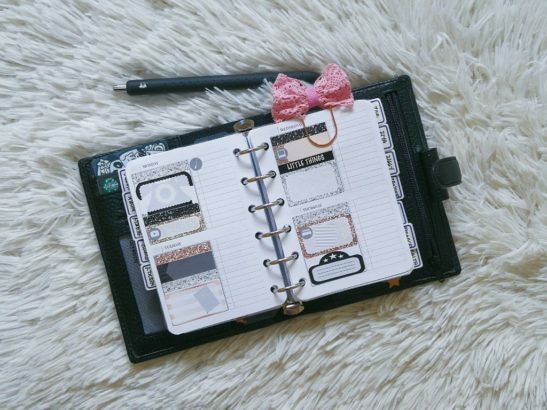 But how my planner looks like does not show you my actual weekly planning process. There’s more beyond using stickers to prettify my planner. The most important thing for me is to have a planning system that actually helps me manage my hectic mom life better. So, I thought it’s high time I show you the steps I take whenever I do my weekly planning. It is only after I consider these things that I am actually able to lay the stickers down and write on the pages of my planner. The truth is, I use stickers not just to prettify my planner but also because they highlight certain parts of my pages that are important to me. If you’re interested to learn more about my weekly planning process, do watch my latest video on YouTube (please subscribe if you haven’t already! ), which I’ve also posted below. I’m really happy with how this system has been working for me so far in organising our family life. I hope this video helps you in your planning process too. If you have any blog posts or videos about it, please let me know in the comments. I tweak my process every so often if things start to not work anymore so any input from you guys will be appreciated. I like it that you incorporate also your husband’s work schedule. That seems to be a nice idea and I think that would all the more help couples meet their goals easier and happier. I agree with Berlin, I never really included my husband’s schedule in my planner so sometimes I get irritated when he has a different plan, yun pala nasabi nya na sa akin before. Grabe idol talaga kita sa planners mo! WOW so organize. I watched the video and I learned a lot, thanks for sharing. Did you print your inserts? Just like you I also love stickers. It makes my planning so much happier haha. I use Passion Planner inserts for this year and I’m also incorporating my husband’s schedule. Naka-color code so it;s much easier to plan.